Visit www.mastermechanic.ca/locations/highpark-gallery/ for more images! 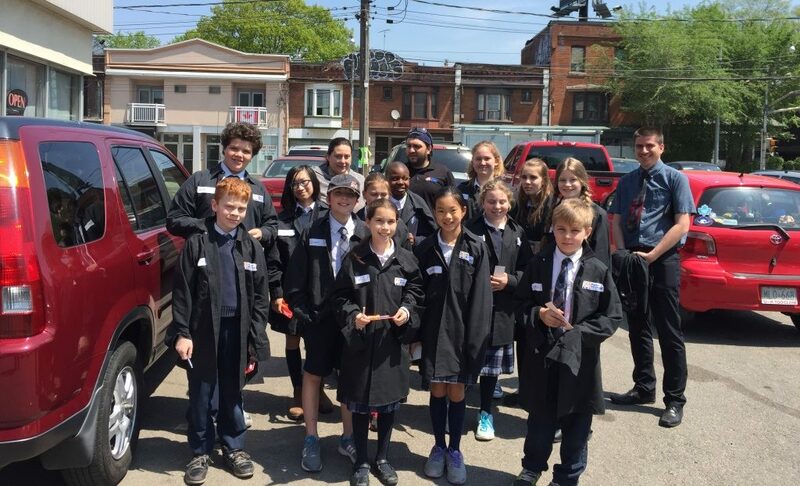 On May 17th and May 25th, 2016, 13 students from Westminster Classical Christian Academy visited their local Master Mechanic in High Park for some ‘hands-on’ education about vehicles and repair maintenance. 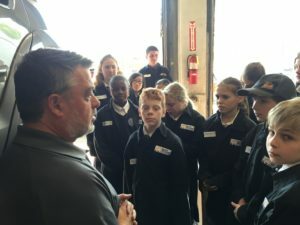 The students, accompanied by one of their teachers, visited the shop and had the opportunity to touch, feel and learn various mechanic services performed on several vehicles brought right into the shop floor. How to use a jack and how to properly change a flat tire. High Park owner Josie Candito provided the students with their own Master Mechanic shirt to keep them clean while they were in the shop and she also provided each student with a tire pressure gauge, led flashlight, and snap on screwdriver for them to keep when they left. The students – while a bit hesitant at first – were keen to ask questions of the instructor, open hoods, pull dipsticks and do some hands-on learning. Each session lasted a little over an hour and the students really seemed to enjoy the “shop classroom” experience. If you or someone you know is interested in possibly organizing a similar experience for your school or organization feel free to get in touch with your local Master Mechanic today.